With two Cattle Egrets in Cheshunt, just ten minutes down the road from my office - I couldn't resist a bit of lunch hour twitching, and sure enough having parked in the estate and walked the short distance to the park at Penton Fields, both birds were on show straight away. 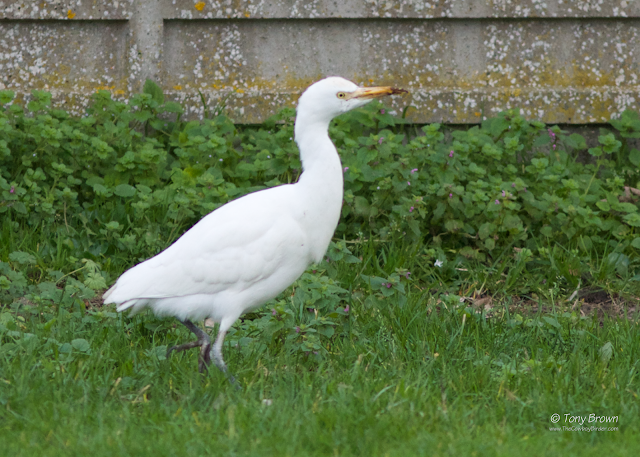 This was a true bit of urban birding with the park being overlooked on four sides by a housing estate and a kids playground at one end - I suppose seeing these birds in this slightly odd environment was a glimpse into the near future, as they continue to increase in numbers and colonise more of the UK. I'm still yet to patch tick Cattle Egret at Wanstead but I'm sure I won't have to wait too long, especially as there's a kids playground opposite Jubilee Pond! 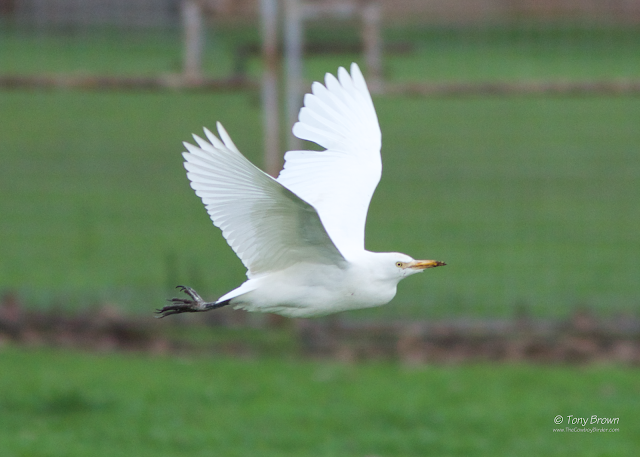 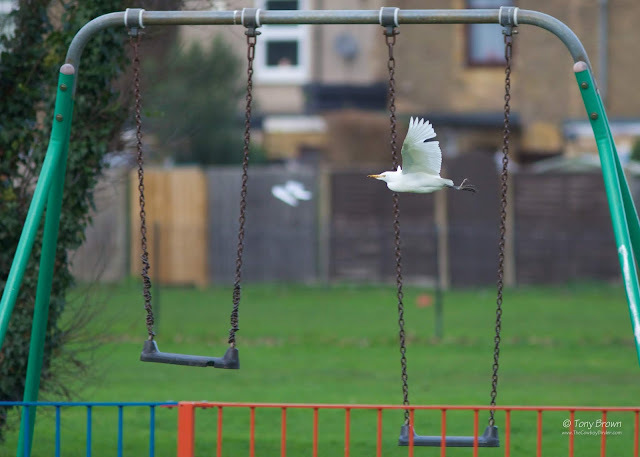 Just a Cattle Egret flying past a set of kids swings in a playground!